Anyone looking for a god? 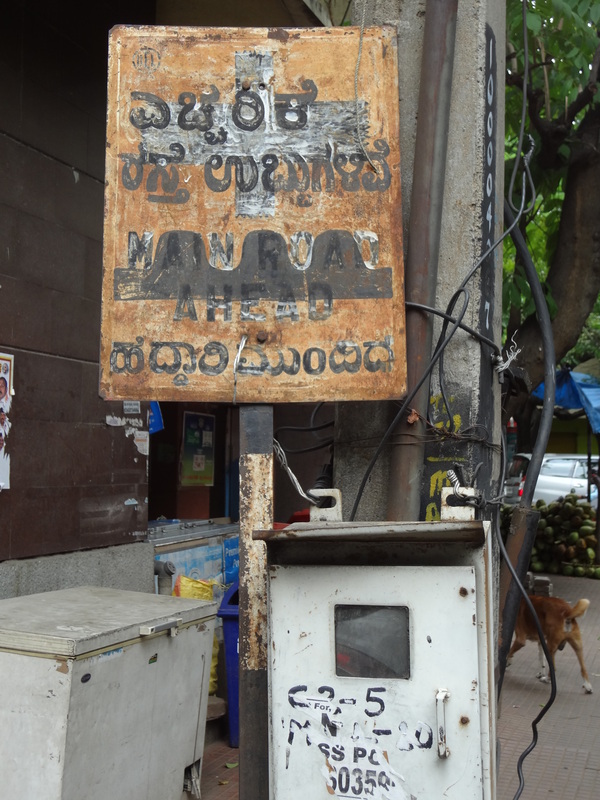 Sunitha, (my mother in law), says ‘you can get anything in Malleshwaram’. 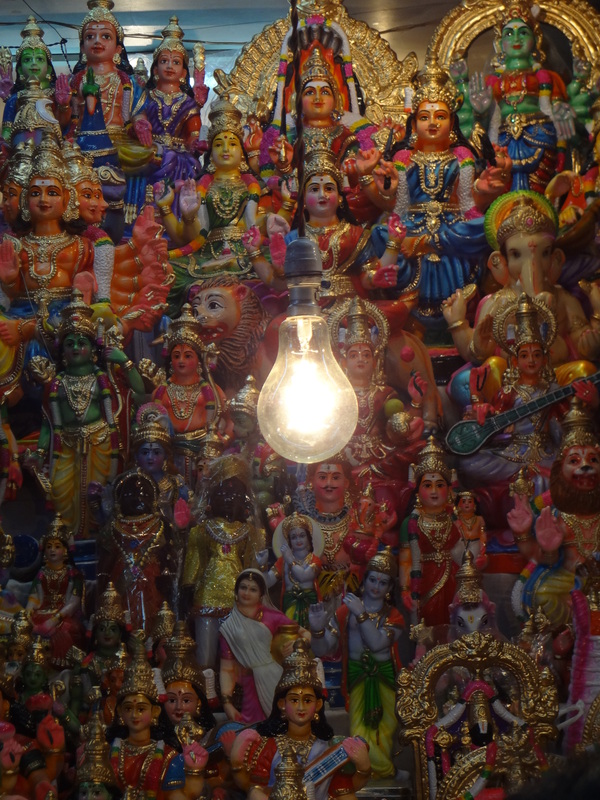 This is our neighborhood in Bangalore and there are definitely many beautiful and interesting things. 8th Cross is the shopping street where the streets and alleys are full of sidewalk vendors. 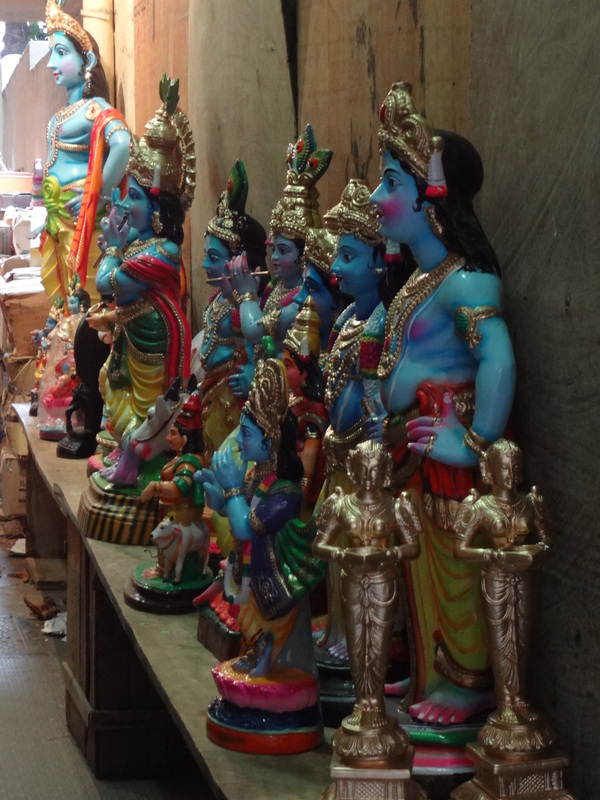 One alley is full of fruits and vegetables, another has silks and a third has temple and puja items. 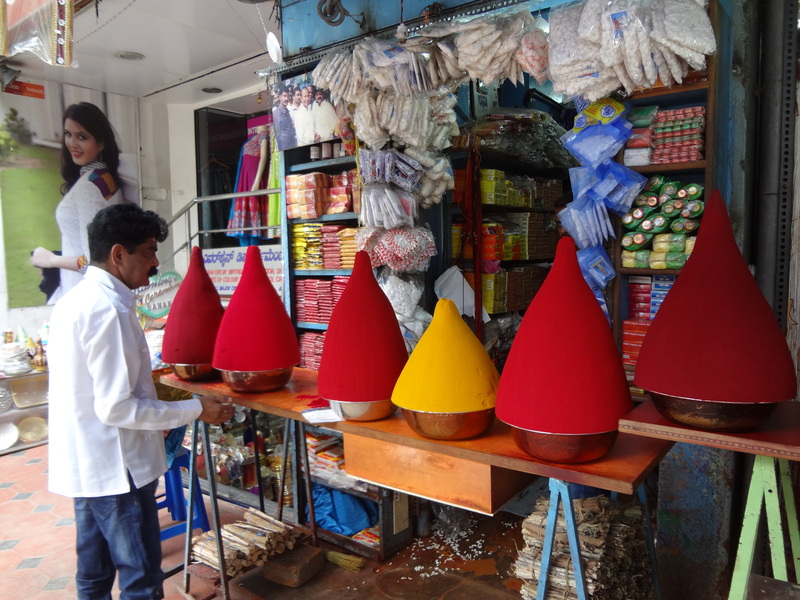 Below is a shop where you buy kum kum. This is offered in small bowls or containers when visiting someone’s home. It took me such a long time to know what to do with this, but it’s so simple. Take a pinch of red and dot between your eyes and a pinch of yellow to smear on the hollow of your neck, the jugular notch (once called the Bosphorus in the English Patient). I’m sure there are lots of ways to do it, but the first time I was presented with red and yellow powder in bowls, I was completely clueless. Luckily I have family that can show me what to do. 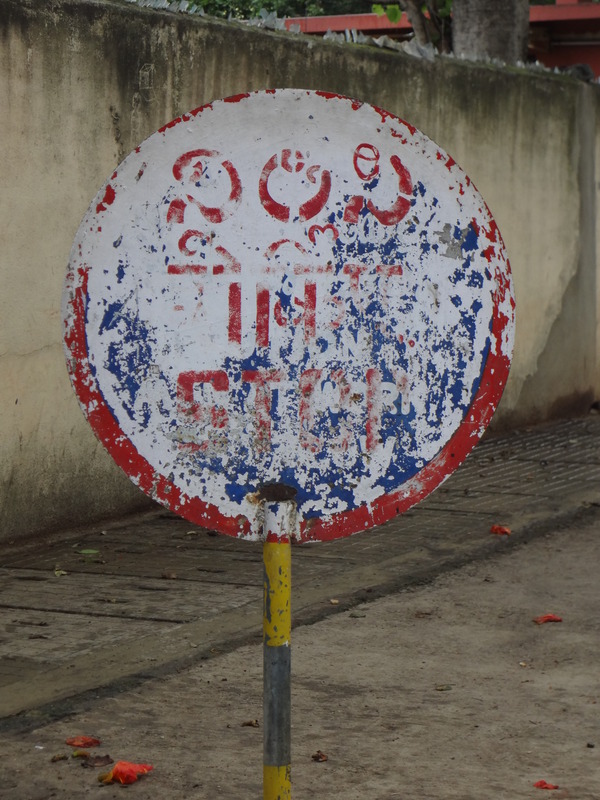 Something I love in India are the painted signs. The following are some nice ones I’ve seen in the area. 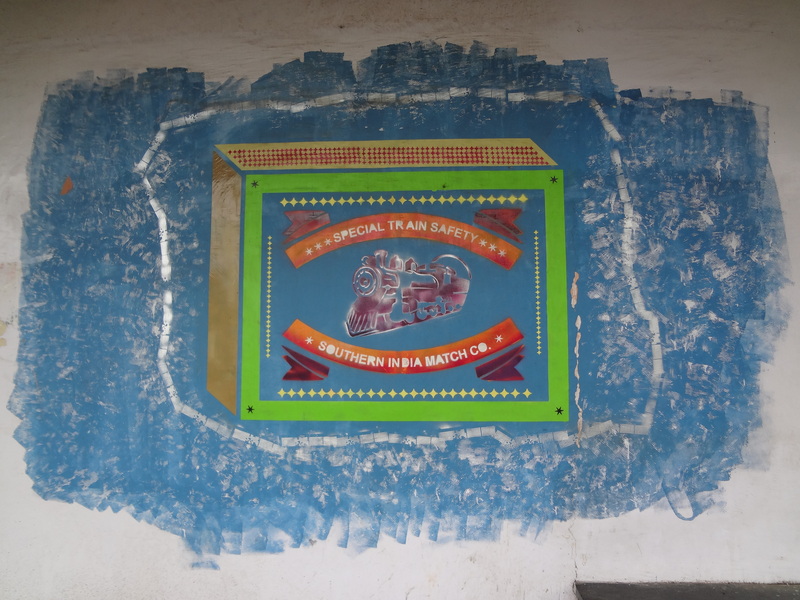 Indian match boxes have great graphics (a future post) and this is a hand stenciled ad in the train station. It’s quite large and takes up most of a wall on the platform. 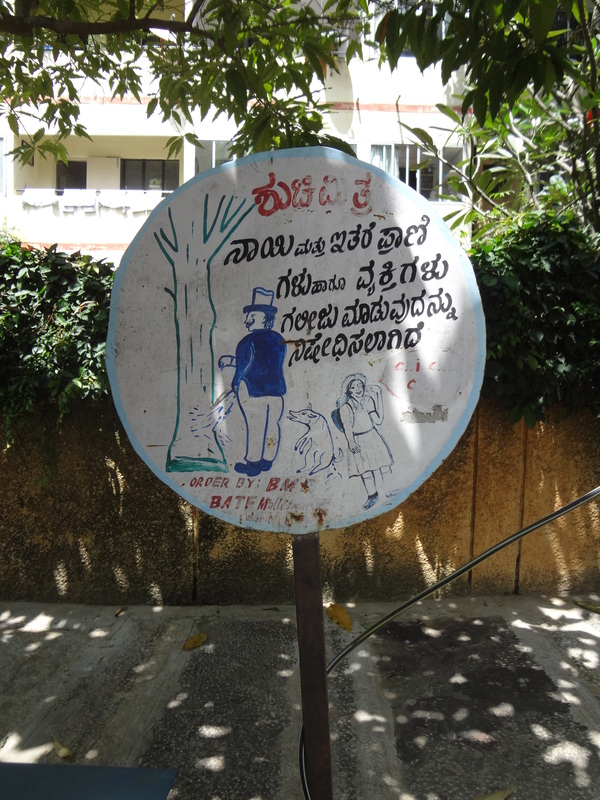 This one is on the road leading to Ashwin’s school. Hmmm, please don’t pee in school zone? This appears to be hand painted on top of another sign. 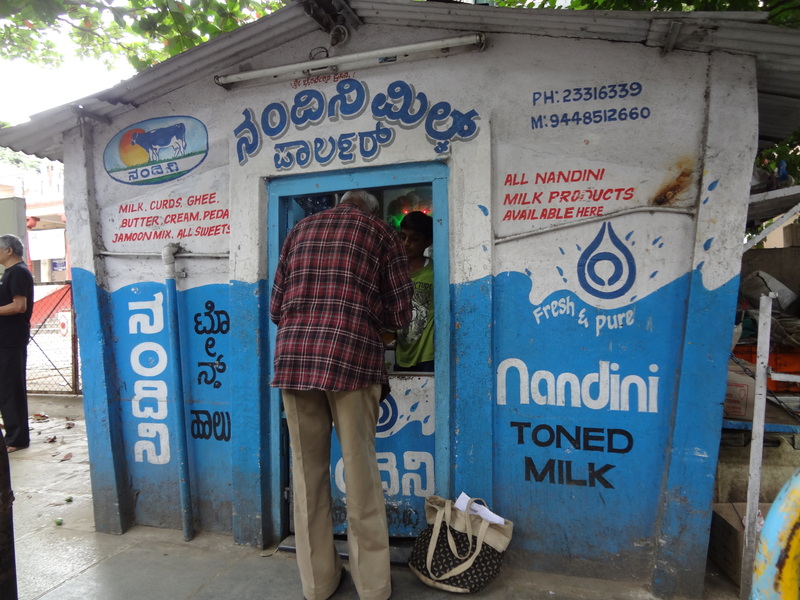 The Nandini milk stalls always seem to be hand painted. 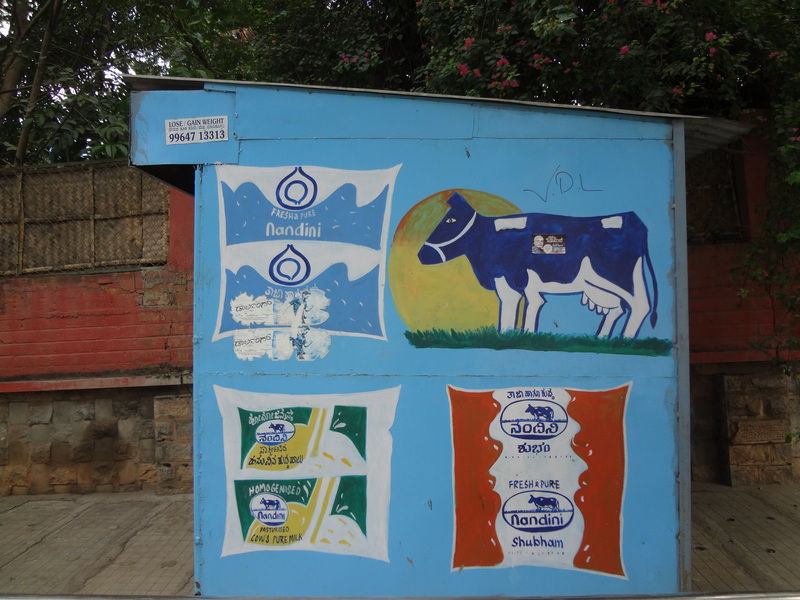 They are all a bit different from each other, but usually include the Nandini cow symbol. This one has pictures of the milk and lassi packets also.